Ten years ago, GM unveiled the EV1 - the first electric car for the mass market. 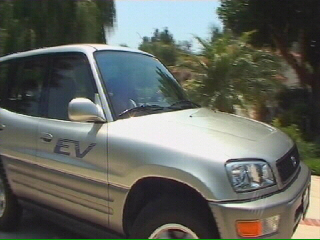 "The EV1 was really special because it was cool and fast and fun to drive," states former GM marketer Chelsea Sexton. "These cars were so good, they would challenge the status quo of the oil industry." But despite their popularity among owners, GM quickly pulled the plug on its new product. It claims there was simply no mass market. "You could only go 100 miles before you had to recharge it so had to adapt your lifestyle to meet the needs of the vehicle," states spokesman Dave Barthmuss. But other workers believe GM never intended the EV1s to work and were more interested in promoting Hummers. "We got indications along the way that they weren't as sincere as they would have people believe," states Sexton. All the EV1s had been leased, instead of sold, to their owners. When the leases expired, GM refused to renew them and sent the cars to be crushed. But demand for electric cars keeps on growing. Some enthusiasts have converted their own cars to run on electricity and claim they have invented a battery that will last for 500km.